The lovely Hare Matar Ki Ghugni is almost everyday affair at our homes during winters when fresh peas are flowing much in markets. This ghughni makes wonderful winter snack or you can also make it as a quick breakfast recipe. There are often such days where you do not feel like walking up to the kitchen or maybe you do not feel like eating any masaledaar khana. However, still you desire to eat something worth the meal and something that makes you feel full. 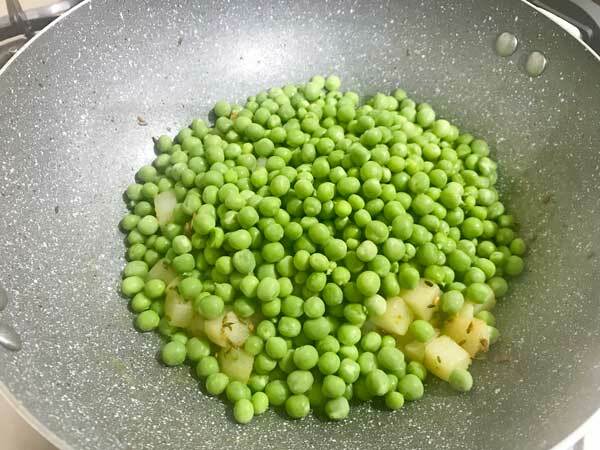 And that’s the time where you can quickly peel off the peas, you can simply just get ghugni recipe done in no time. Or if you are feeling like taking a quick grab of something spicier and chatpata with Tea, chutputi Matar ki Ghugni is the best to compliment your cup of tea. 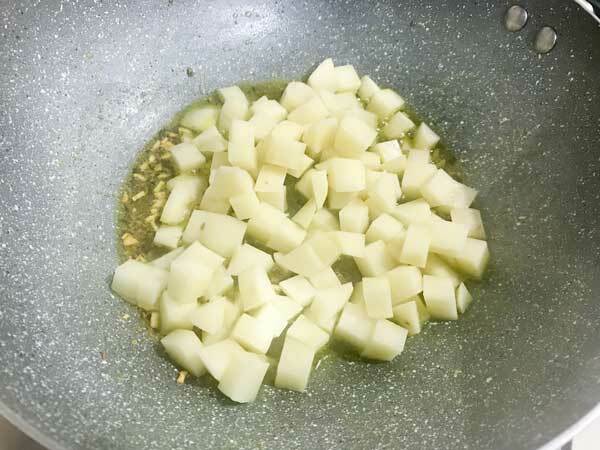 I find making hare matar ki ghugni a lot easier and convenient. Like, if you have just made dal chawal and have had a busy day, you can instantly make this ghugri and have a complete meal. Dal chawal and matar ghugni is a perfect Banarasi khana, a true comfort meal for winters. Matar is a frequent guest at our table. Mixed Veg Paneer Bread Pakoda are big hits consistently. Oh! how can I forget to mention our love for Matar Ki Kachori, it’s my daughter’s all time favourite snack for evening. Coming to the ingredients I have already mentioned two ingredients here i.e. 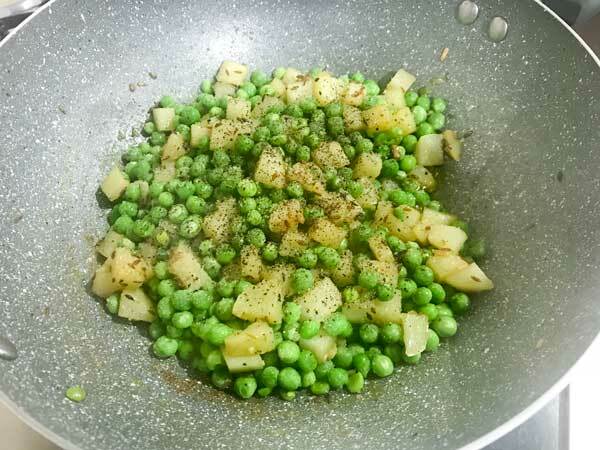 green peas and potatoes. 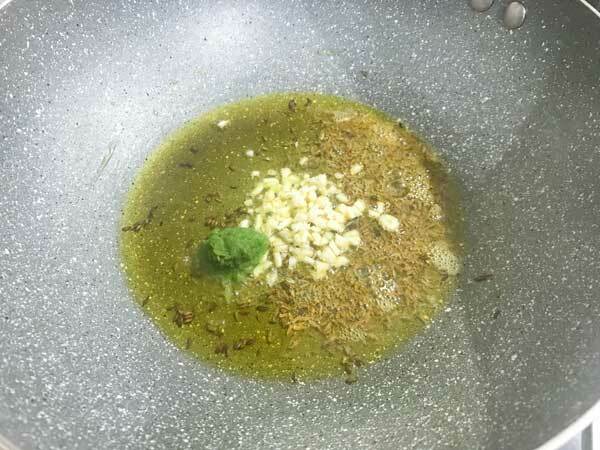 Mentioning the rest of the ingredients, they are garlic cloves, green chilies and cumin seeds, salt, cracked black pepper, lemon juice, mustard oil, coriander leaves. You have a choice for making this ghugni as an absolutely no garlic recipe, and add grated ginger to it. It will be a perfect no onion no garlic snack or a meal for you all. Also, you can add little red chilli powder for more spicy touch. Indeed, you are free to make variations as per the liking, just make sure that adding too many ingredients to it will turn ghugni into matar ki sabzi and the essence of ghugni will be lost. 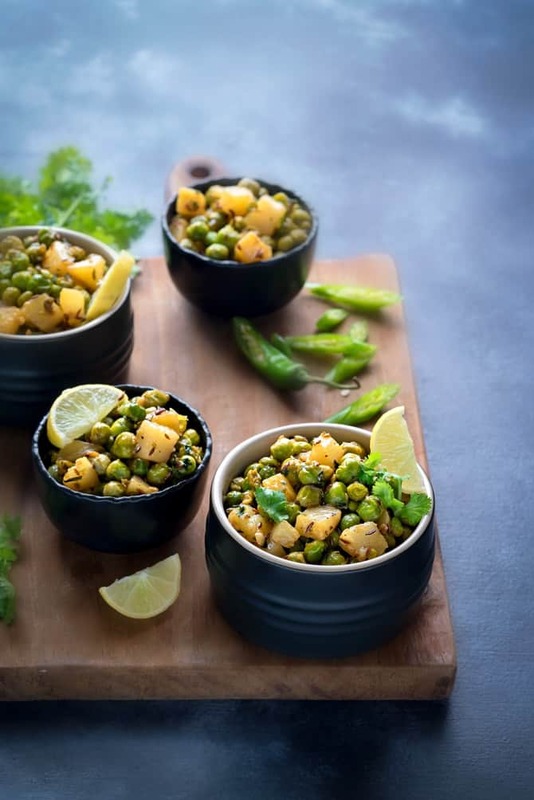 Yes, surely we can use frozen peas also, to make lovely Matar ki Ghugni. If you have already stocked up your freezer with frozen peas, then, just thaw and toss as per the recipe and enjoy it. In a kadhai or heavy bottom pan, heat oil until smoky. Add cumin seeds and allow it to crackle. Add crushed garlic and coarsely crushed green chilies. Fry for few seconds until aromatic. Do not burn. Add green peas (Matar) and sauté both together for a minute. Now add salt and mix. Cover and cook on low for 10 minutes or until potatoes and peas are done well. Add freshly cracked pepper and mix. Have you tried this “Matar Ghugni Recipe”? Please feed us with your ★ star ratings and comments below. 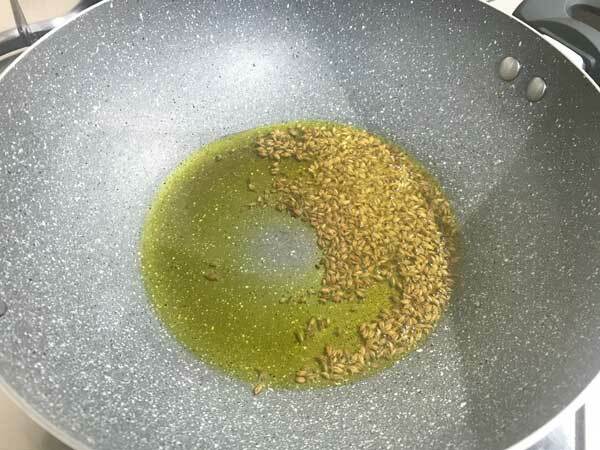 In a kadhai or heavy bottom pan, heat oil until smoky. Then, add cumin seeds and allow it to crackle. Add crushed garlic and crushed green chilies. Fry for few seconds until aromatic. Do not burn. 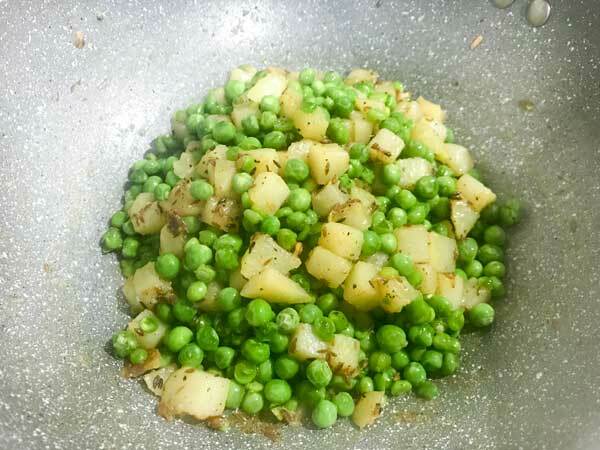 Add green peas (Matar) and sauté both together for a minute. Now add salt and mix. Cover and cook on low for 10 minutes or until potatoes and peas are done well.